There are numerous possibilities of how a sinkhole may be created. Voids can be formed by freeze and thaw cycles, water main ruptures, unstable soil or natural grade settlement. Precision Radar Scanning uses ground penetrating radar technology to detect subsurface voids. We are able to provide construction professionals with the approximate length, width and depth to a void. The actual depth of the void itself cannot be determined. 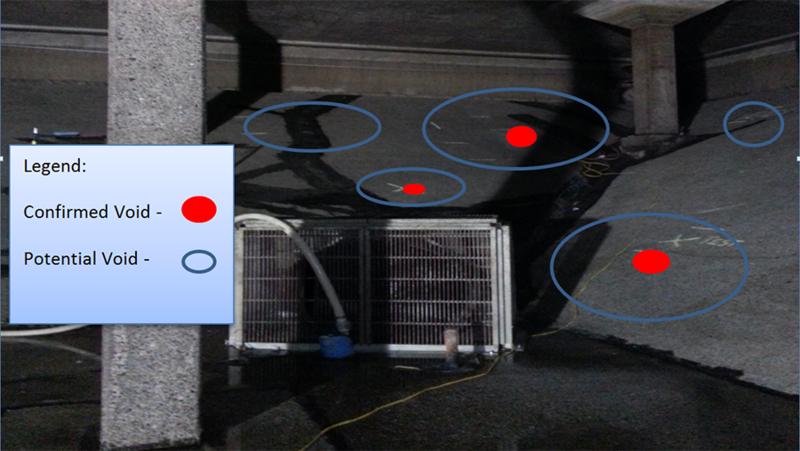 Precision Radar can successfully identify void areas between the concrete slab and substrate. Running water can wreak havoc on the subsurface. A void can create a structure potentially hazardous and unstable. The picture displayed is an example where Precision was hired to determine void pockets at a water reservoir in Vancouver. 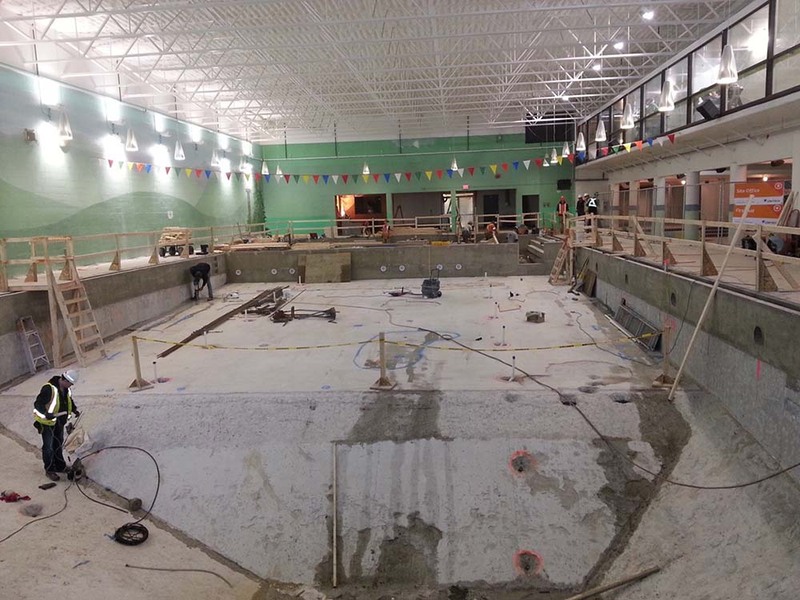 Voids were formed between the sloped concrete walls and substrate due to the sustained water pressure over time. 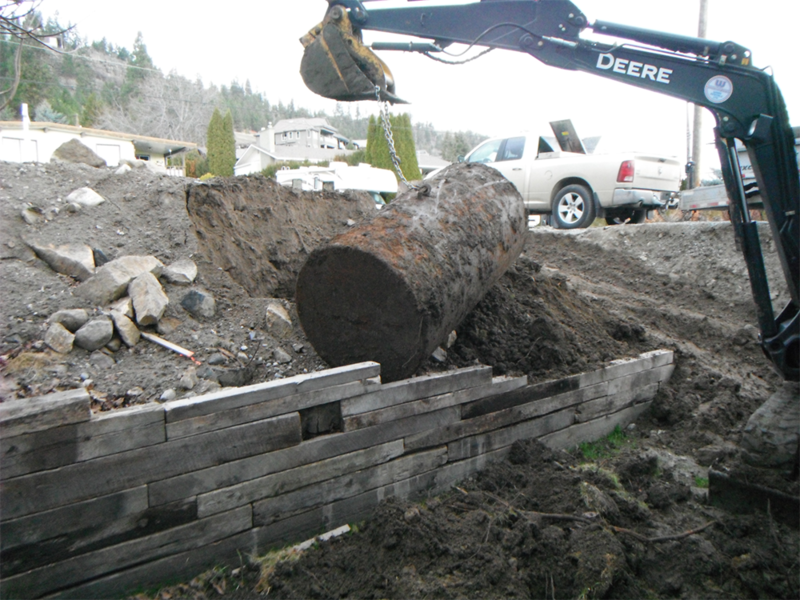 Numerous voids were detected and mapped for a company to perform remediation. 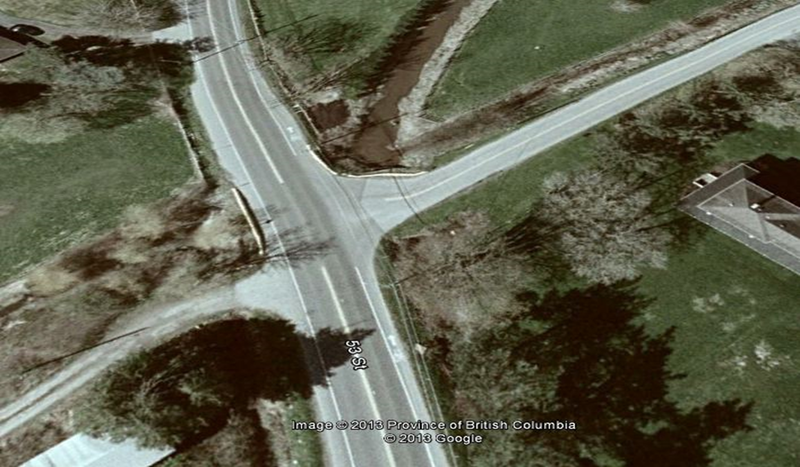 Precision’s services were utilized by the Ministry of Transportation to detect potential voids in major roadways in the Lower Mainland. Several voids were discovered around old deteriorated wooden culverts which were unable to retain the above load bearing soil. 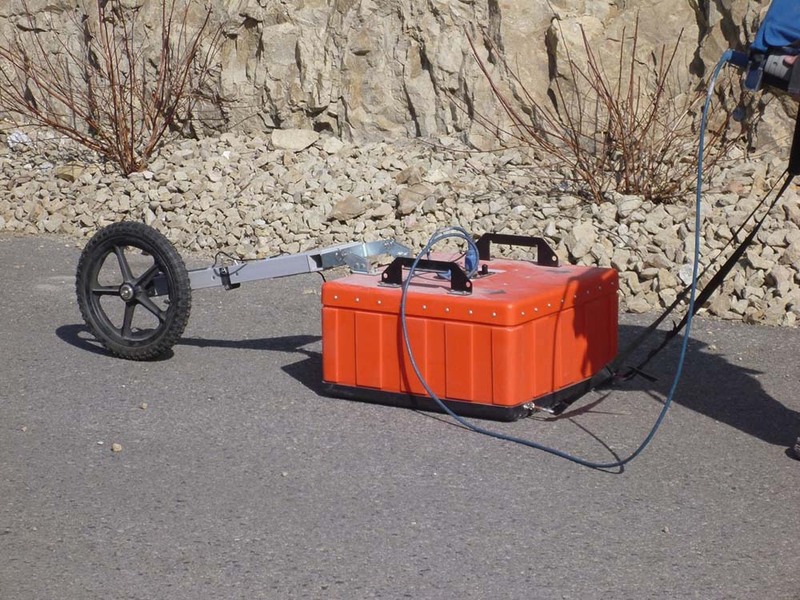 Ground Penetrating radar technology can be used to perform block walls investigations. Structural Engineers and construction professionals hire Precision Radar Scanning to determine if a block wall has been constructed correctly. Precision can survey a block wall to determine which cells are filled with concrete. We can identify the exact location of vertical and horizontal bonds beams. Furthermore the cells filled with concrete can be scanned to pinpoint the structural steel and any potential conduit. Precision was hired to determine if all the cells were filled at a new building in Kelowna. We determined numerous cells were void of concrete and had to be remediated. 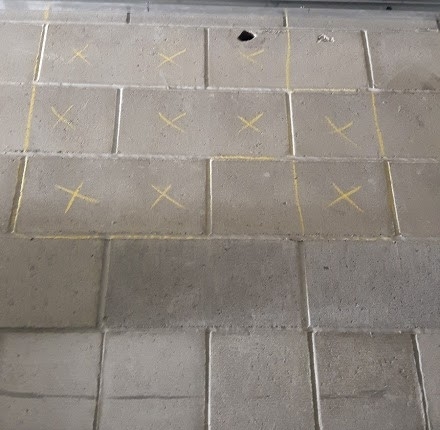 The yellow x’s in the picture to the left display all the cells that did not contain concrete. Precision Radar Scanning has the technology and experience to accurately survey subsurface infrastructure, all non-destructively. Ground Penetrating Radar (GPR) is a proven cost effective method in aiding numerous types of subsurface investigations. Precision can work with many professionals including land developers, environmental consultants and geotechnical engineers to save time and costly unneeded excavation to determine the depth to subsurface bedrock on potential residential and commercial building plots. Further applications for this type of geological investigative research include: bedrock profiling, locating unmarked graves, forensic studies, archeology research in regards to site surveying and excavation planning, locating void spaces, utilities, underground storage (UST’s) and fuel tanks, underground vaults, and much more. Should you have any questions regarding your subsurface investigation or are unsure that we may be able to assist you, please do not hesitate to contact us.